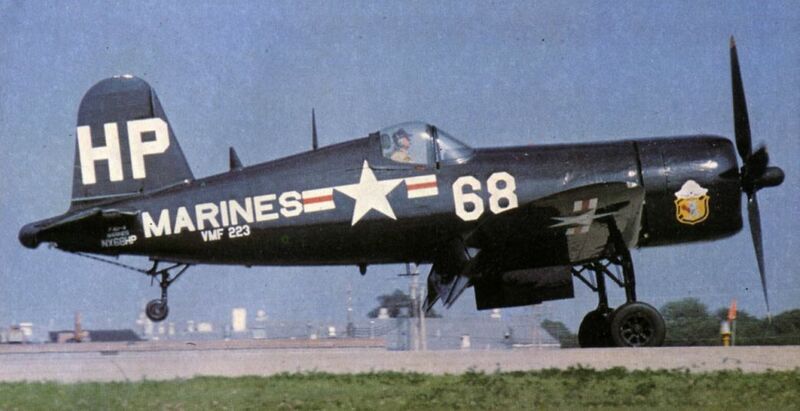 Beautifully-restored Vought F4U-4 Corsair NX68HP in the markings of Marine Corps Squadron VMF 223. Another of War Aircraft Replica’s plans is for this half-scale F4U Corsair. This one was built by Fred Bauer Jr.
A horde of Harvards crowds the sky. 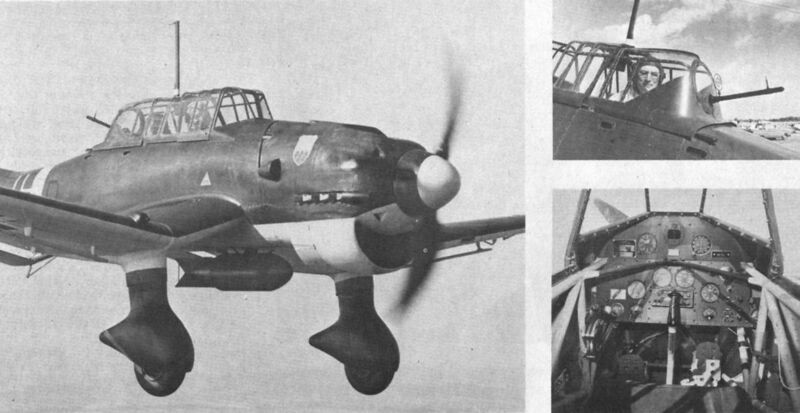 The author was greatly impressed by Louis Langhurst’s 7/10 scale Junkers Ju.87 B2. It first flew on July 19 last year (1979), after two years of research and preparing plans and another six years and 8,000 man-hours of buildings. 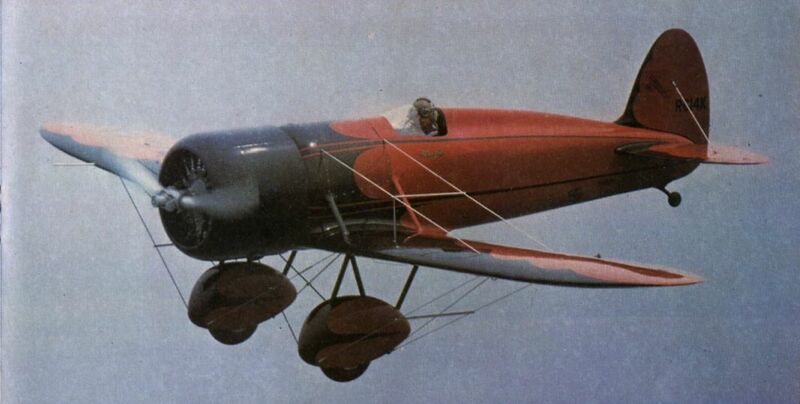 One of six flying Bristol Fighter F2B reproductions being built by 29-year-old Learjet pilot Vernon R. Ohmert of Missouri for a forthcoming film entitled High Road to China, due for release in March 1981. This machine, N29HC, was the first to fly, making its maiden flight on July 4 1979. The engine is a 200 h.p. Ranger 6-440-C in-line. One of the vintage warbirds was immaculate North American B-25 Mitchell 486777, The Devil Made Me Do It. 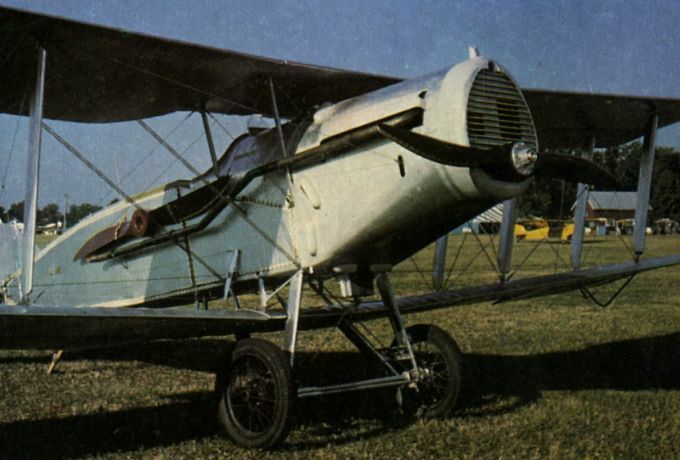 Helped by 70-year-old Si Meeks, who worked on the originals, Lee Crites built this reproduction of the Star Aircraft Co’s Model E Star Cavalier of 1929. 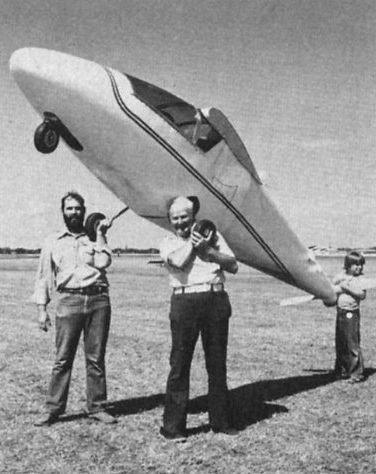 Molt Taylor, centre, provides a graphic demonstration of the lightness of his Micro Imp, which will sell in kit form, minus engine, for less than $500. 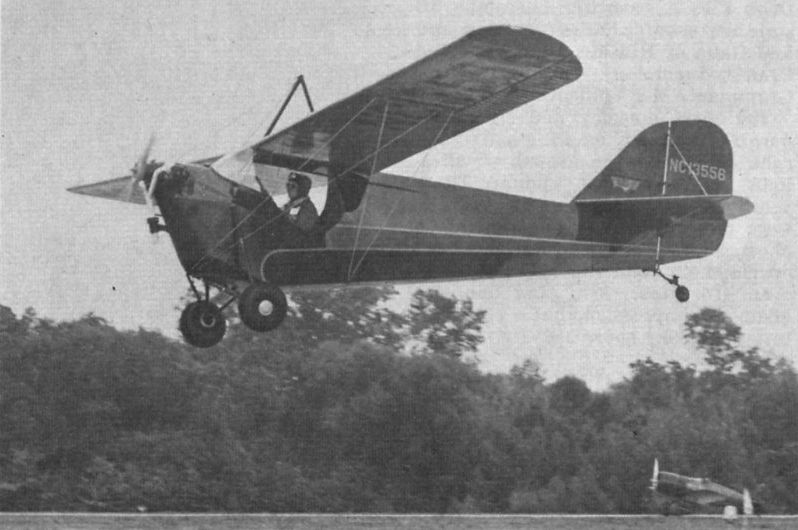 Jim Younkin’s reproduction of the Travel Air Mystery S racer, winner of the 1929 Thompson Trophy, took nearly three years to complete and cost $15,000. 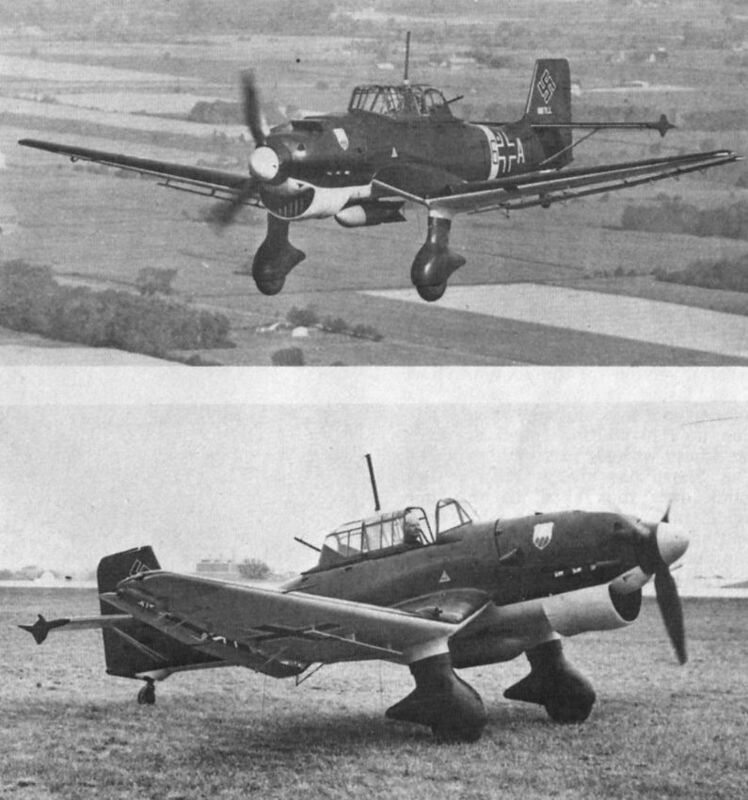 A 300 h.p. 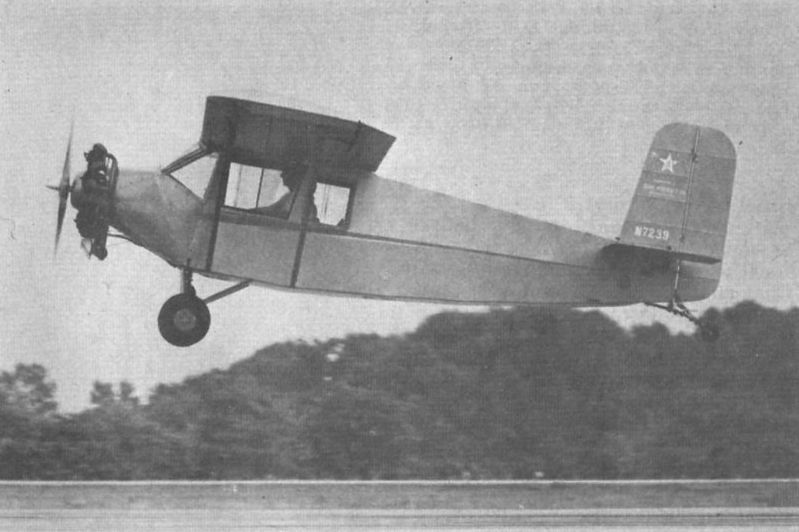 Lycoming replaces the Wright of the original. It first flew in March 1979. The tandem two-seat Piper Primary Trainer, with a 130 h.p. Franklin engine, never got beyond the prototype stage. 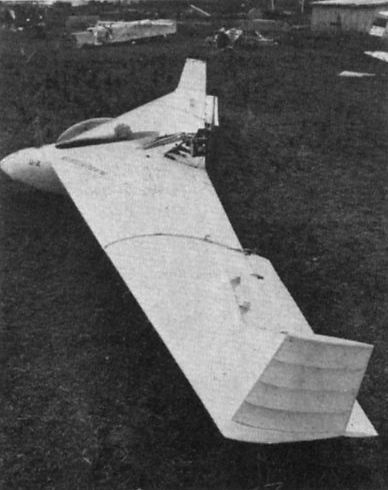 The Mitchell Super Wing Model U-2 has a 10 h.p. McCulloch as its powerplant. 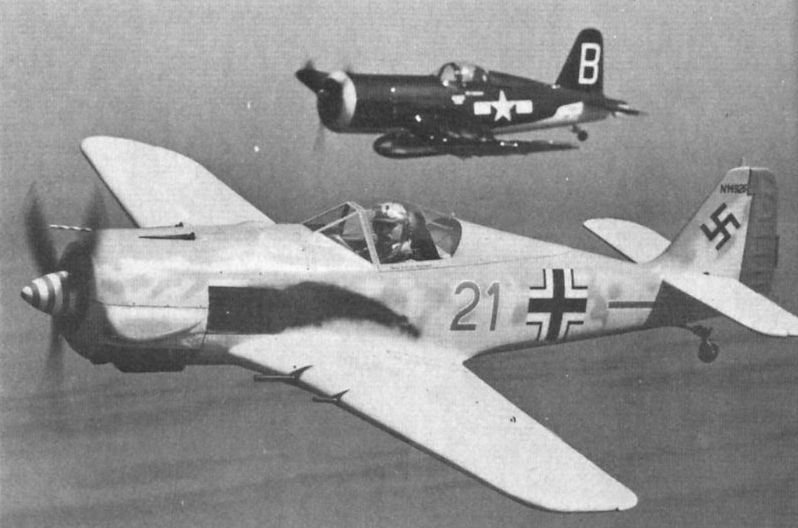 If you can’t afford a full-size warbird, scale is the answer. 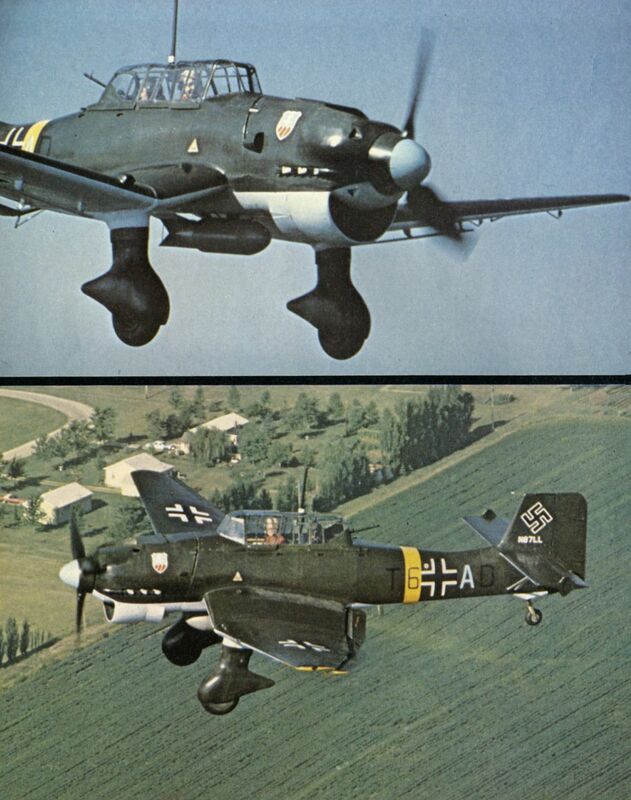 Ivan Munninghoff’s half-scale FW-190, built from War Aircraft Replica plans, has a top speed of 180 m.p.h.